“We are very pleased to welcome Mariani as a new customer,” says Marco Destefani of CAD Schroer. The Italian packaging systems specialist chose MPDS4 because of the flexibility offered by the software, and CAD Schroer’s engineering expertise. 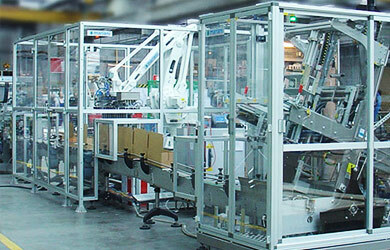 Packaging machinery and turnkey systems provider Mariani exports its solutions to 45 countries, building turnkey lines for some of the world’s best known brands. Mariani recently purchased CAD Schroer’s MPDS4 Factory Layout Plus package, including the Mechanical Handling catalog for conveyor design. The deal also includes licenses for the PDC engineering content management environment and the 3D Component Designer tool. Mariana has signed a long-term software support and maintenance contract, which includes all software updates and revisions, online and telephone support, and individual guidance. Mariani will import ca. 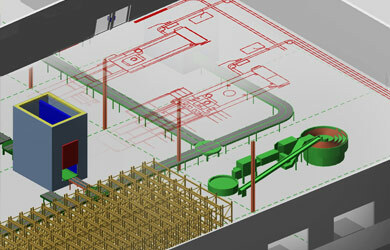 50,000 existing CAD drawings into MPDS4’s 2D drafting environment through a very accurate DXF/DWG interface. 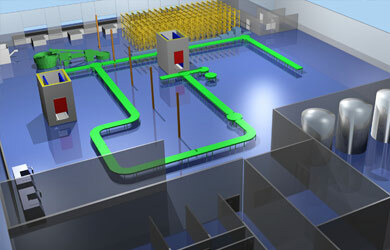 All engineering data will then be managed by CAD Schroer’s data management software. With MPDS4 Factory Layout users can start in 2D with building layouts, then switch to 3D to quickly route conveyors, pipes etc. from the catalogs provided, returning to 2D as required. Individual Mariani 3D machinery models will be incorporated in the layouts via the STEP interface, providing very accurate results.